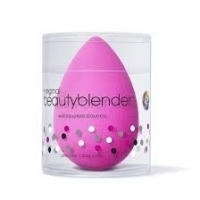 Assorted Beauty Blender foundation/makeup sponges available please contact us with the required SKU, Qtys, colours you require. Please make sure when inquiring you include the UPC code and colour of the sponge you need, we require a 30% deposit and 8 weeks to delivery on orders over 500pcs. FM1000 O2/Air Mechanical Blender: FM1000 series is a device which is designed in a compact structure that the BLEND oxygen and medical air relative mixtures . Adjusting the flow of oxygen and medical air gas ( l / min) is used to obtain a precise mixture. This process is performed on the device and with a different color code comprising adjusting knob by gas content. 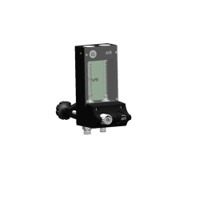 O2 on the device and have different sized and calibrated flow meter ( flow meter ) gas flow through each tube of 0-10 l / min can be adjusted in the range . Easily integratable humidity chamber, Use as an external flow source, Send secure between 21 % and 100% oxygen up, 134 ° C sterilizable moisture reservoir, Emergency Service , the incubator , and suitable for use in Neopuff Bubble- CPAP devices, Mechanical Ambu , suitable for use in oxygen hood, With Nasal Cannula and Prong Low / High Flow provisioning, 25-75 PSI pressure range ( operating pressures of 50 PSI ) working, Moistening the mixture delivered to the patient can be added to the humidity chamber. Short on time? Let blenders sellers contact you. 1. Powerful 450 watt motor 2. Blender jug 3. speed control plus pulse function 4. Jug chute and measuring cup5. Sturdy non-slip feet 6. Stainless steel multi-blade design for crushing ice. Gift box size 22*19*42cm Carton size 45*39*43cm N.W. :1.5kg/pc G.W.:2kg/pc. High, low speed, pulse rotation revolving switch control. Stainless steel body and cutting blade 1500ml glass jar with filling cap. Ningbo Cotek Appliance Co., Ltd.
Jiangmen Tongyuan Electric Co. Ltd, . Tyb-999 2 in 1 blender 6 buttons 4 speed or 6 button 8 speed and pulse Big jar for blender Small jar for grinder Shining abs body Power: 250w~350w Capacity: 1.5l. Qty: 6 pcs/ctn 20'gp:2454pcs 40'hq:5400pcs. Sunbird Technology Development Co., Ltd.
Cixi Ninghui Electric Appliances Co., Ltd.
With CE, PSE and CCC marks Power: 205W Voltage: 100 to 120 and 220 to 240V AC Features: 3-in-1 food processor With function of extracting, grinding, blending and soybean milk making Can make soybean milk within 2 minutes The clipper-built exquisite design for machine, easy to use Dregs and juice separable effectively Anti-overheat device to ensure safe and reliable operating Stainless steel blade to cut fast Removable stainless steel filter for easy cleaning Capacity of juicer cup: 450mL cup Capacity of blender cup: 260mL. Net/gross weight: 18/20kg Size of carton box: 65.5 x 31 x 47cm Color box: 30 x 13 x 22cm Packaging: 10-piece/carton Loading quantity: 20ft container: 2,933pcs 40ft container: 6,077pcs 40ft HQ container: 7,125 pieces. Jiangmen Shangliang Electric Appliances Mfg.Co., Ltd.
Shangyu More-I Electric Appliance Co., Ltd.
Ribbon blenders and sigma mixers for food industries as per the customers specifications.